Last year, I started the year speaking about not marginalizing ourselves. We spoke about beginning our entrepreneurial journeys in our own communities, and then incorporating into other communities. I also asked all of you to look at your pain, create a brand from it, and then market that brand in your own social communities, and then into the mainstream. Hollywood Casting Director, Sheila Conlin, and I encouraged you to write to us about your brands. We decided to create Crossover Casting so we could begin to help you get on reality TV shows in order to promote your businesses. We are working to get so many of you on shows that are looking for chefs, real estate agents, experts of all kinds, and even contestants for dating shows. We are happy to announce that we got our first Adelante woman on a reality show. She took her pain and created her own brand around nutrition, health, and wellness and she is on the new show, “My Diet Is Better Than Yours”, premiering on ABC Thursday, January 7th at 9/8c. Her name is Jovanka Ciares, a New Yorker originally from Puerto Rico. Here is her story on how she created her brand from her own pain and her journey with Crossover Casting on getting on a national reality TV show. Click HERE to watch Jovanka's first video blog. “My Diet Is Better Than Yours” features celebrity trainers who coach average Americans looking to lose weight and get in shape. Each fitness expert brings a specially designed and wildly diverse diet and exercise plan in which they will work with contestants to help break down the basics and discover what works for them. For more information on the show click HERE. Please send us questions for Jovanka at info@theadelantemovement.com. We will follow her story and have a live chat with her soon. Keep following Jovanka's journey on our website www.theadelantemovement.com, on Facebook, and on twitter @adelantepower. 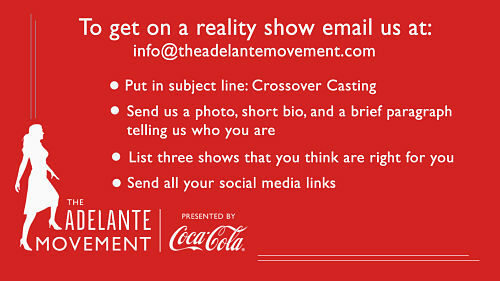 Is this your year to get on a reality show? Send us your information following the simple steps below. 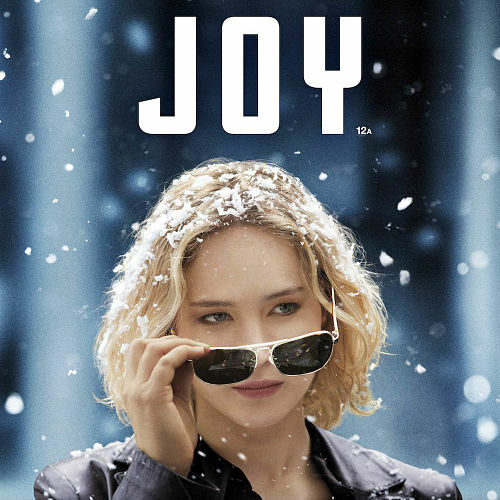 On another note – Go see the movie JOY!!! It is an Adelante story from beginning to end. I cried for 2 hours. I saw all of our stories in Joy’s story and it is a very happy ending. What are the 3 things you are accomplishing this year?